In this post, Dr Anja Neundorf shares her advice on starting an academic career. Pursuing an academic career is a big decision, as it requires a long investment into your education with an uncertain, but highly rewarding outcome. It is difficult to make it, as there are few jobs and it can take a while to get a permanent position. But don’t get me wrong, I think being an academic is a very exciting job. Here are some reflections on the last 12 years, since I decided to pursue a PhD and the journey that followed, including supervising several PhD theses myself now. Be passionate about the topic you are researching; a PhD requires long-term resilience and self-confidence – with determination things work out somehow, in the long run. If you are passionate about the topic you are working on, it is much easier to follow this path. Only pursue a PhD if you have funding, such as a scholarship from one of the research councils; this is a lengthy process and having funding allows you to focus on your thesis and training – it is also the first important signal that you have talent and good ideas. Take as much training as possible during your PhD and be open to learn new things – it will be increasingly difficult to attend summer schools, workshops and courses once you have finished your PhD and start an academic job, so get your training done early on. This also includes being open to getting out of your ‘comfort zone’. You should try to learn new skills that might seem scary, but will be incredibly rewarding. Engage with the academic community to keep up-to-date with published work in the top journals and go to workshops, conferences and seminars of invited speakers at your own institution! Listening and engaging with other people’s work is important, as it teaches you how to do research and recognise the important debates/issues in your field; professional networking is also a key part of a successful academic career. Going from a sprint to a marathon: in my opinion, this is the most difficult task – during your PhD and as an early career researcher, you need to work a lot, are always under pressure to get your papers out and the immediate goal is to find a permanent job – you need to focus and be fast! Once you have a permanent job, you will have many more tasks to juggle; you will be expected to be a teacher and administrator, as well as a researcher – having some certainty in your job also changes the perspective; this is when you need to switch to marathon mode to keep your energy and creativity for the long-haul. 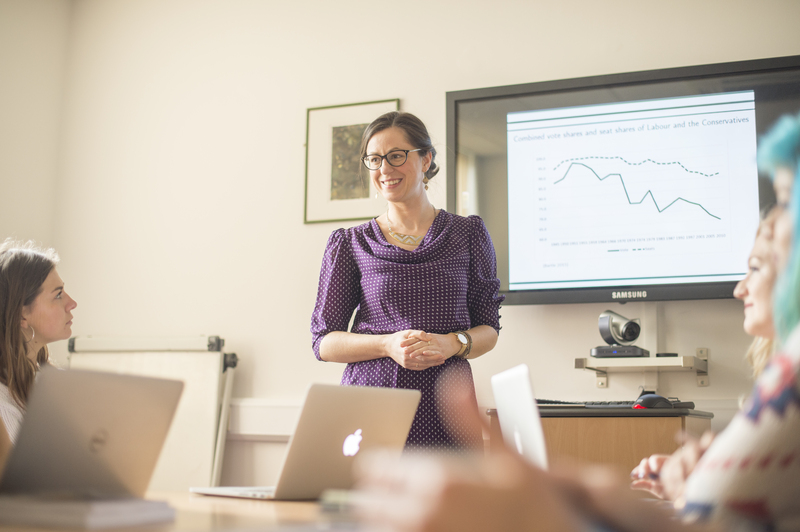 After completing an ESRC-funded PhD at the University of Essex in 2010, Anja secured a Post-doctoral Prize Research Fellowship in political science at Nuffield College, University of Oxford. Joining our School of Politics and International Relations in 2013, she is Associate Professor and Co-Director of the Nottingham Interdisciplinary Centre for Economic and Political Research.